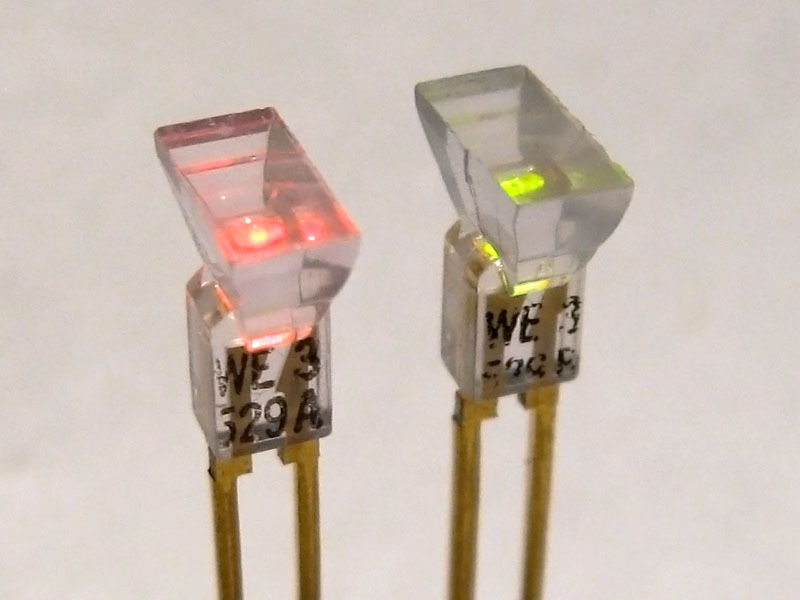 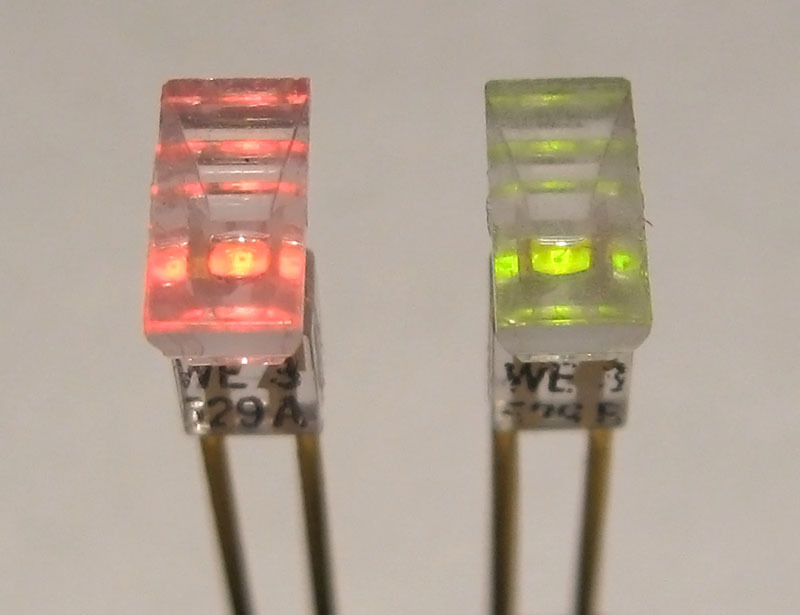 Western Electric 529A and 529B LED indicators, normal operation. 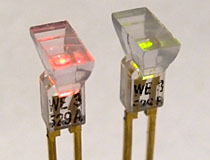 The 529A and 529B have wedge shaped heads and integrated reflector groves designed to produce a pleasing appearance when viewed top-down. 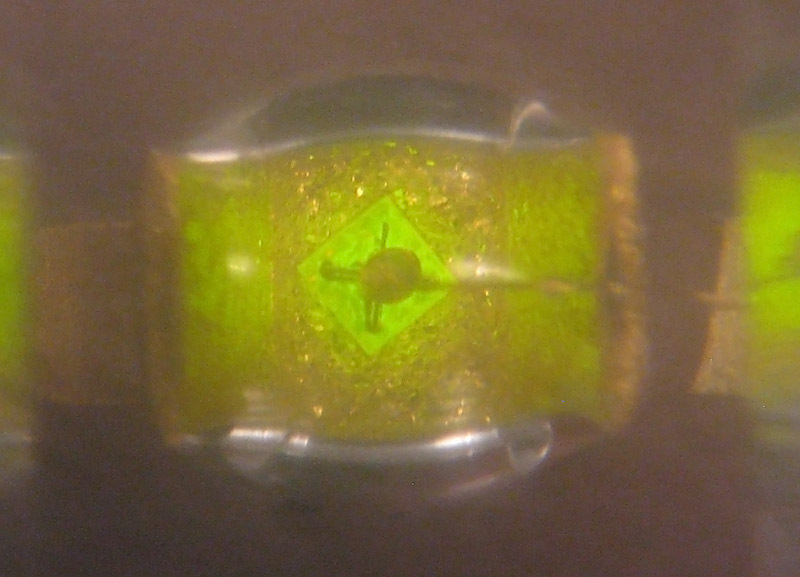 Western Electric 529B LED die, 40x magnification.